Have you ever imagined of having a repo or addon that will provide you will only movie content?… and that too with movie content from all around the world?? ?… If so, just spare few minutes to check this out. Sarcasm repository is one of the best repo that provides only movie content. It has a limited list of new add-ons, that will allow the users to stream movies in all language. Sarcasm Repository is a new repo with full of movie add-ons. It is featured with a wide range of movie categories such as Adventure, Anime, Biography, Comedy, Crime, Documentary and much more. You can find all region-based content here. From Hollywood to Bollywood all are available here. This repo comes under very few repos that provide Indian movie contents. Even you can find Chinese, Japanese and Thai movie contents too. Let’s see how to install Sarcasm Kodi repository. Step 1: Select the settings gear icon at the top left of the home page. Step 2: Select the File Manager to add an external link for downloading the repo source file. Step 5: Add a path to the source file. Type the URL: http://sarcasmrepo.tech/ (Make sure you have entered the exact URL. Better Copy and Paste the URL to avoid manual error). Step 6: Give a name to the source file and select ok. Adding a name for the file is just to make the navigation easier and identification easier. Step 7: Go back to the home page and click on Add-ons. Step 9: Select Install from zip file. Select the source file name you have entered. Step 10: It will take some time to get downloaded. Wait until a pop-up notification appears at the top right corner (saying that the respective addon is installed). Step 11: Go to Install from repository. 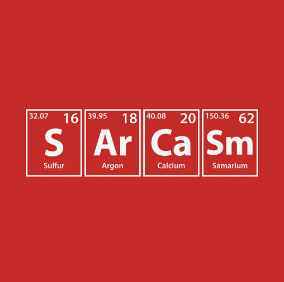 Step 12: Select the Sarcasm repository. Install your favorite addon and enjoy the best experience. We are at the end now… This repo is quite convincing, because of its wide range of content. if you are a movie geek, then surely you will make this as your favorite repo. If you find any difficulties with the installation of Sarcasm Repository or for any feedback, kindly comment below.